William D. Callister (2003). Materials Science and Engineering: an Introduction, 6th Ed. Table 6.1, p. 137: Wiley, New York. ISBN 0-471-73696-1. 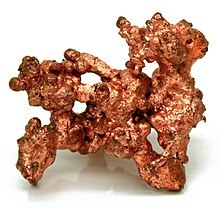 The Copper Development Association has an extensive site of properties and uses of copper; it also maintains a [http://www.brass.org web site dedicated to brass, a copper alloy.